MANCHESTER based Purple Heart Parade and Liverpool's a.P.A.t.T will be heading up the return of Getintothis' Deep Cuts. 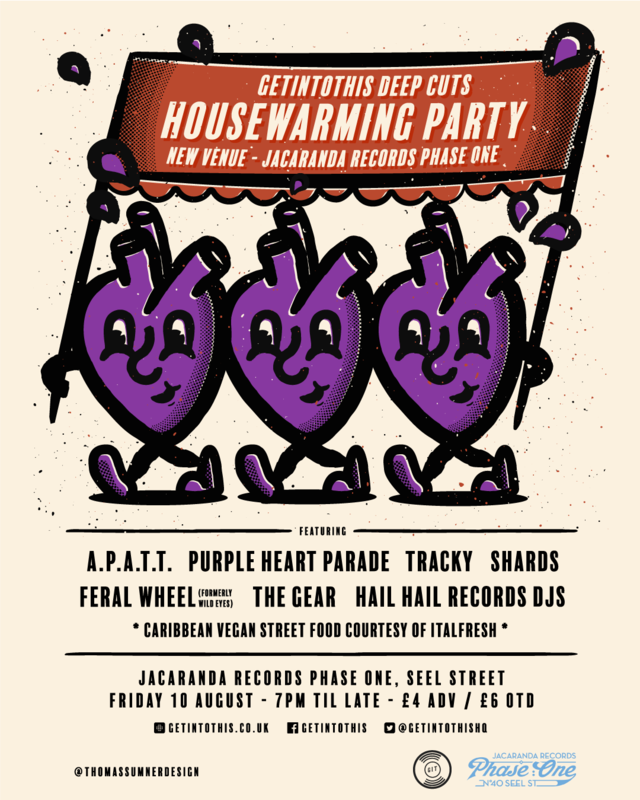 Moving away from the Buyers Club and after a brief summer break, Deep Cuts will return on Friday, August 10 at Jacaranda Records' new Seel Street venue Phase One. Joining the line-up will be Tracky, Shards, Feral Wheel and The Gear. The bill will be completed by Hail Hail Records who will provide a DJ set not to be missed. Food on the evening will be provided by Caribbean vegan masters Italfresh. Getintothis' Peter Guy said: "We visited their opening night and saw artists road-testing the new venue during Liverpool Calling and loved the potential the hub has to offer; with it’s vinyl records, listening booths, outside garden and kitchen – and whopping stage superbly kitted out with some of the city’s best engineers in tow, it felt like the best new place to kick start a fresh chapter of new live music. "And it’s fair to say we’ve prepared a fine housewarming billing in keeping with our ethos: best new music."